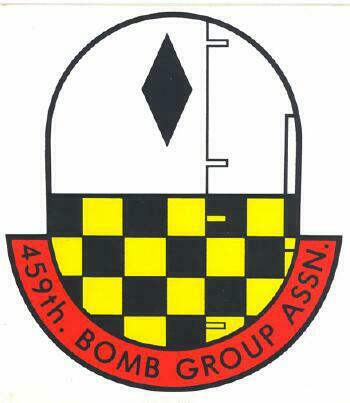 The 459th Bomb Group Association (459th BGA) was founded in 1982 as an association of veterans who served with the 459th Bombardment Group in the 15th Air Force during World War II. 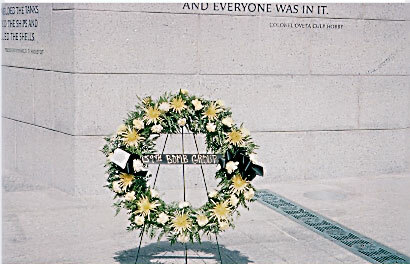 The organization is dedicated to preserve the memory and history of the men who served in the 459th BG and to promote camaraderie and friendship to members. To this end, the BGA conducts annual reunions, circulates a quarterly newsletter (The Pathfinder), published a unit history, "Coffee Tower", and sponsors a scholarship award program for descendants of 459th members. Over 1400 individuals have joined the BGA since 1982 with about 950 active members at present. Each year an average of 350 persons attend the annual reunions to enjoy group activities, and to rejoin good friends and crew members. If you wish to share these experiences in our 459th BGA, please contact the Treasurer. Annual dues are $10.00 and life memberships are $75.00.